Just an hour and a half bus ride from Korat in the Nakhon Ratchasima province, and you’ll find yourself in the sleepy charming town of Phimai, home to Phimai Historical Park & Sai Ngam~ the biggest growth of banyan trees in Thailand. Now before hopping into the details of the amazing historical site of Phimai Historical Park, let’s talk about the actual town. 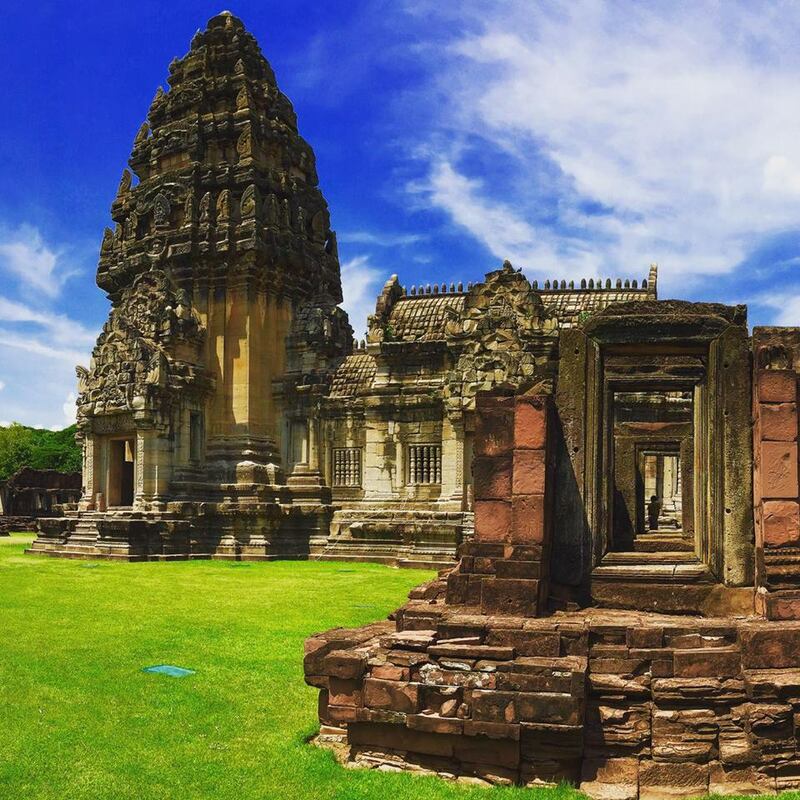 Phimai is a town full of that slow paced Issan charm that anyone who has traveled through this area of Thailand knows first hand. The town has a lazy lull to it that feels comfortable and dreamy. Bikes are available to rent throughout the town for only 100 baht, but the 4 kilometer town is easily walk-able, and I highly recommend a stroll through the downtown area. 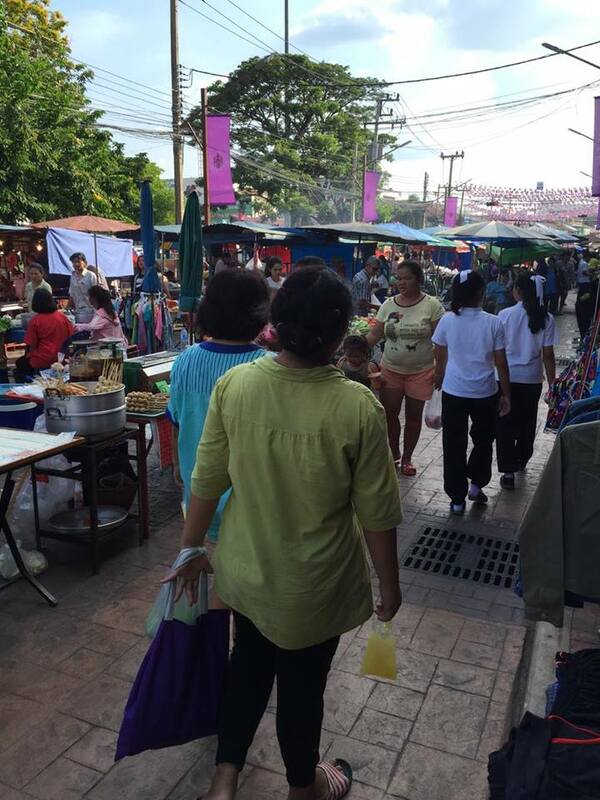 Phimai has an evening market that starts every afternoon at 3pm, where you can get a spoonful of authentic Isan food, or sample the street snacks. There are also some beautiful temples scattered throughout the town, and they are well worth a walk through, especially after a day of temple romping. On the weekends Phimai comes alive with outdoor music, football matches in the town square, and other cultural festivities depending on the time of year. I recommend going on a Friday or Saturday to get the full Phi Mai experience. 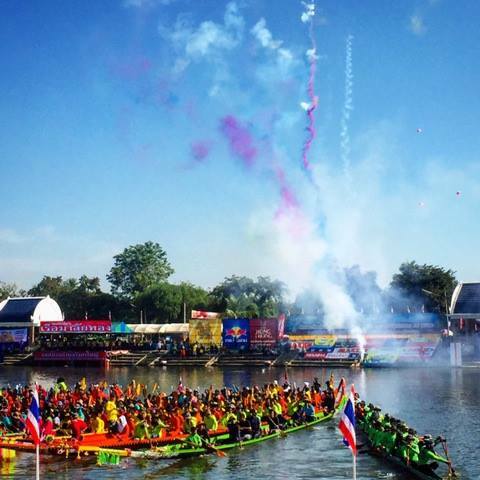 The best time to visit Phimai though is in early November for the Phimai Festival, and the annual long boat races down the Mun River. Villages from the surrounding area all participate in the two day long event, during which they have nightly play/musical performances by local university theatre students. There is usually a play that depicts the history of Phimai, and although it is completely in Thai, it is still an amazing spectacle to behold, even if you don’t understand a word of it! 800 years ago, Phimai was directly connected to Angkor Wat via the Mun River. Phimai used to be a hotspot for traders and religious travelers passing through the vast Khmer empire. Although the grounds at Phimai Historical Park may seem small at first, once you’re in the park and exploring the ruins, the area seems to really open up. The huge flocks of tourists, and the dilapidated state of the ruins at Ayutthaya had unfortunately left me underwhelmed and slightly disappointed. My experience at Phimai Historical Park was the polar opposite of that. There’s no huge crowds bumping their selfie sticks into your back, or making you feel rushed and claustrophobic, and the ruins are in immaculate shape. 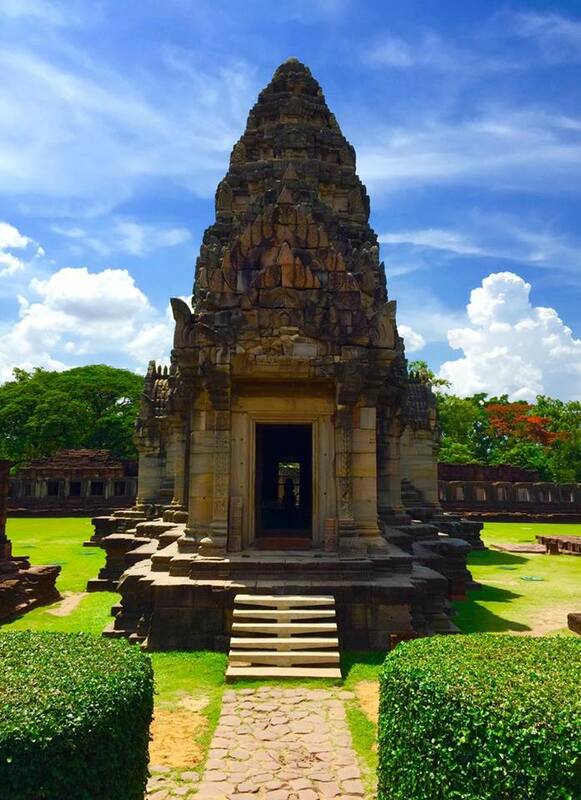 It’s best to visit Phimai Historical Park in the morning or early evening because the heat can be stifling. I’d recommend allotting no less than 2 hours to explore the park for normal tourists, although you could easily spend a whole day there. Once you’re ready to get away from the heat, what better place to take shade then the biggest growth of banyan trees in Thailand. Just a fifteen minute walk away from Phimai Historical Park is Sai Ngam– the biggest growth of banyan trees in Thailand. The roots themselves are a site to behold, and the tops of the trees form a sun shielding canopy. 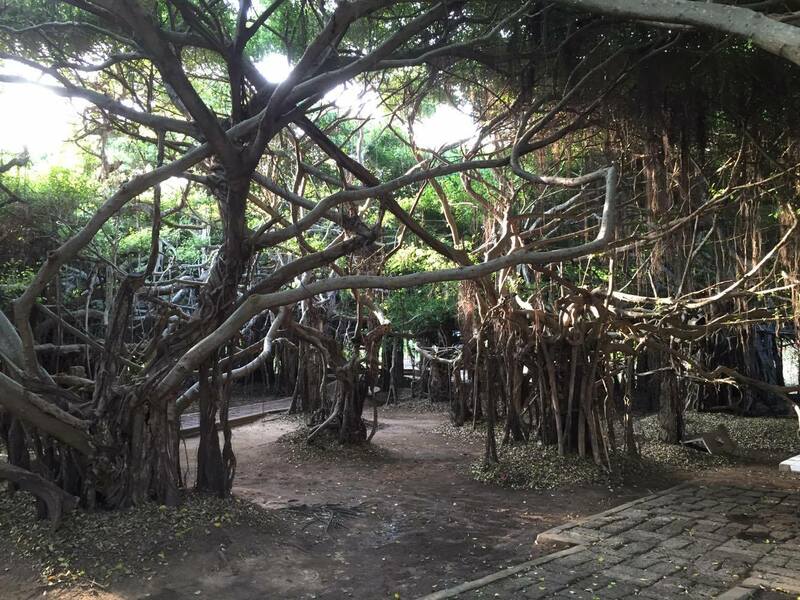 Wander through the winding paths underneath the tops of the banyan trees, and look out for some of the spooky spirit houses strewn about. There’s also plenty of restaurants and souvenir shops around if you need a postcard or some chicken and rice! Special thanks to Andrew C. Lyon for the excellent backpacker lowdown, and the amazing photos. 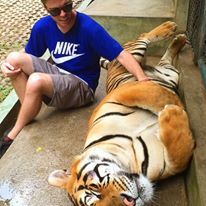 Andrew C. Lyon with stunna shades and a tiger… could you get any cooler? 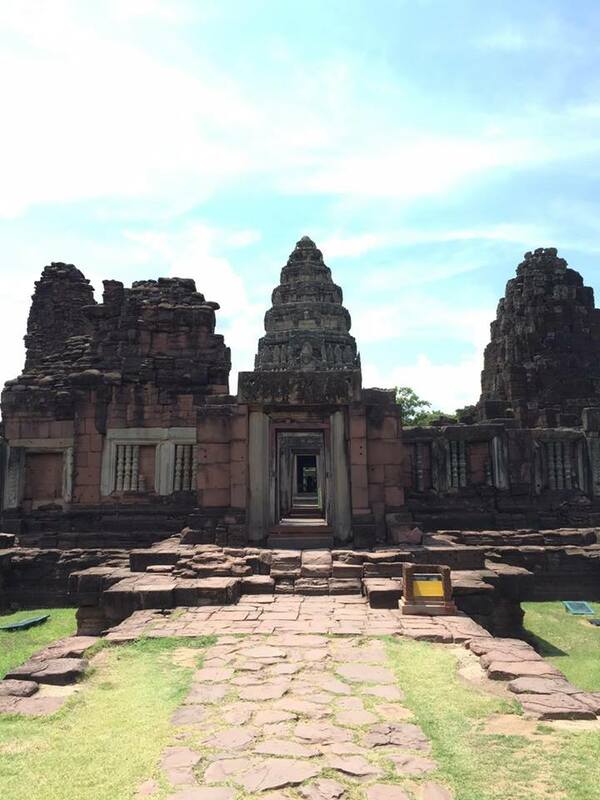 Oh and by the way… Have you ever been to Phimai? Do you have something to add? Have any photos you’d like to share? Comment below, I’d love to hear from you. 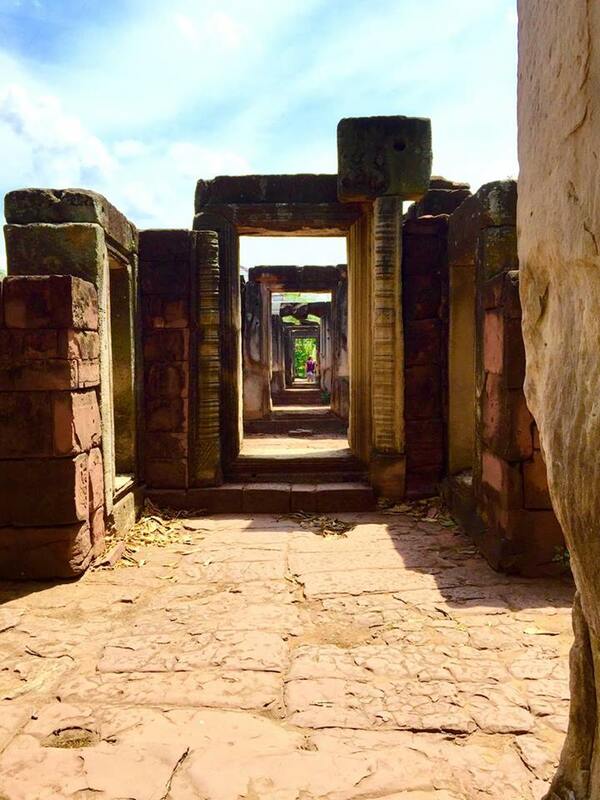 ** For more Khmer ruin action, check out my post on Sukhothai, one of my favorite destinations in Thailand. Hello, J. Still remember me? I was the guy who followed your blog. How do you do? I am going to go to Thailand on about to May or June. 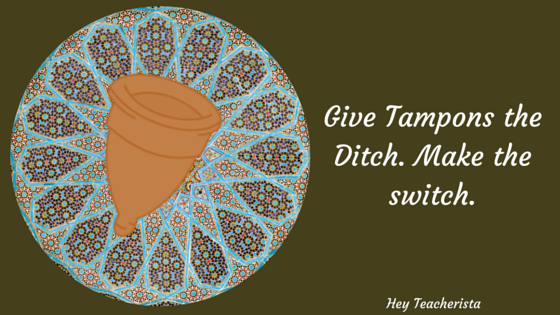 I’d like to ask you some advices on what the best way to reach is. Do yiu have any idea on the cheapest travel? Fyi, I will flight from Indonesia. As for getting to Thailand, I really recommend going with AirAsia. Their flights are stupid cheap. I recommend coming in late May or Early June. July is the start of the rainy season, as I’m sure you probably know, so it would be good to beat that. If you would like to see the beaches, I really recommend going to Koh Chang. It’s an awesome Island with a laid back, but clean feel, and it has very nice beaches. Rayong is also nice in the south, and is very close to Koh Samet, which is a beautiful island that teeters on the edge of desolate. If you want to go up north I really recommend going to Sukhothai on the way to Chiang Mai, and checking out the ancient ruins. They are amazing, and Sukhothai is a nice city. I would spend two days in Chiang Mai. A lot of people really like it there, but I was sick of it after a couple of days. Chiang Mai has beautiful temples though, and some awesome white water rafting. If you can, I would check out staying with one of the hill tribes for an overnight trip. It sounds a little hokey, but I had a friend do it and he said it was a really amazing experience. How long are you going to be in Thailand for? you know what? I was already in Thai on last february. It was great bruh.